We're three days out from No-Gi Worlds getting underway on Saturday at the Anaheim Convention in Anaheim, CA. The divisions are set but brackets have yet to be released. Here are seven potential matchups we want to see over the course of the two-day tournament. Caio Terra is going for his 10th CONSECUTIVE No-Gi Worlds title as a black belt. That’s just crazy. This year will be no small task though, with both Japanese footlock machine Tomoyuki Hashimoto and Atos standout Kristian Woodmansee also in the black belt roosterweight division. Caio Terra vs Marcelo Cohen. Photo: Mike Calimbas. We’ve seen that Vagner Rocha is just an animal on the mats. He has a ferocious approach to the game and will use any trick in the book to get the upper hand in a match. And we LOVE it. But how how will Rocha’s aggression fare against the matador, Edwin Najmi? A Romulo Barral black belt known for his loose, open style, Najmi lures in his opponents into a false sense of security and waits for them to make the mistake. One small error is all Najmi needs to end a match, and he can do it from anywhere. A battle between Najmi and Rocha at the black belt lightweight bracket would be clash of styles in every sense of the term, and we're crossing our fingers that it goes down. Dante Leon is among the strongest pound-for-pound athletes in jiu-jitsu. And he’s got the grappling skills to match. The GF Team beast was promoted to back belt after the 2017 World Championships and has already made an impact at the highest levels of competition. But he’s not without stiff competition. The middleweight division is packed with 24 of the best black belts on the planet. Any one of them versus Leon in an exciting fight, but the potential matchup we’re dying to see is Mansher Khera from Unity Jiu-JItsu. Now a seasoned black belt, Khera has been adding new tricks to his arsenal since moving to Unity and looked fantastic at KASAI Pro just a few days ago. Will Khera’s edge in experience be carry him to victory? 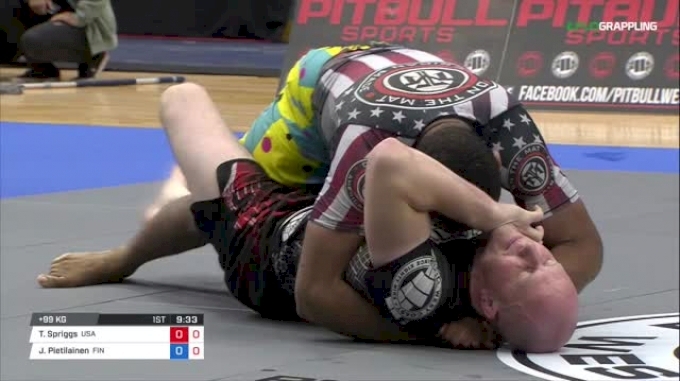 Another dynamic match from the middleweight division we’d love to watch is Atos representative and returning no-gi world champion Josh Hinger versus Team Alpha Male grappling coach Dustin Akbari. Josh Hinger in his element. Both possess excellent standup and unorthodox attacks: Hinger loves the gogoplata, has a patent-pending guillotine variation known as the "Hingertine" and isn’t scared to play footsie; in turn, Akbari loves to attack the legs or let a flying attack rip. He’s all action all the time and will be certain to bring the fight to Hinger. Jackson Sousa has had an incredible 2017. He competed at ADCC on short notice and took third place with big wins over Rafael Lovato Jr. and Joao Assis. Not content to bask in the glory of an ADCC medal, Sousa followed up performance with double gold at IBJJF 2017 No-Gi Pan Ams the next weekend. 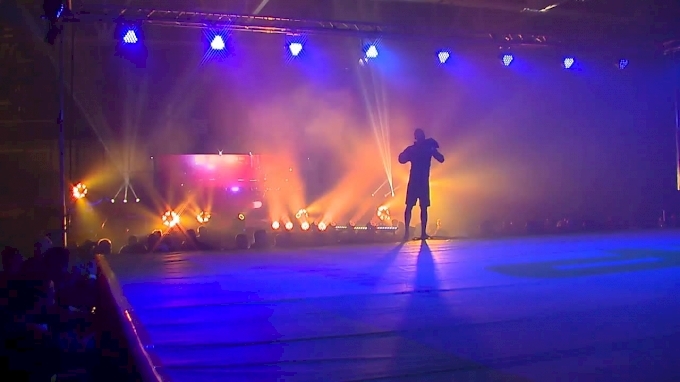 Can the UK-based Checkmat black belt heavyweight keep the momentum rolling this weekend at No-Gi Worlds? It certainly won't be easy. Especially if Jackson runs into Tim Spriggs at any point of the bracket. Though not the most active TLI team member, Spriggs is deadly whenever he chooses to compete. Unafraid to make a match chippy and the owner of solid wrestling chops, Spriggs is as fun to watch as he isn't enjoyable to compete against. Spriggs will certainly bring his intensity and electric passing ability to whomever he faces, but we definitely hope it's Jackson. Climbing in the weight categories nearly as rapidly as he is podiums, Lucas "Hulk" Barbosa has entered the super-heavy division at this year’s No-Gi Worlds Championships. Another Atos standout (there certainly are a lot of those guys), Hulk has been on a tear all of 2017. Hulk is known for his strong wrestling base and vicious pressure passing, but all of which could be negated should he have to face off against Eliot Kelly. Arguably the best wrestler in the the division, Kelly is in his happy place when he's on the feet hunting for a takedown. Kelly has beaten the likes of Xande Riberio and is an ADCC veteran, so he certainly has the tools to dismantle Hulk's aggression. A match between these two will boil down to a game of inches and who gets the takedown first. Adam Sachnoff is one of the many 10th Planet representatives converging on Anaheim to test themselves under an IBJJF rule set. An ADCC and EBI Veteran, "Big Red" has competed at the highest levels of jiu-jitsu over the years, and we're interested to see how his game will fit in within the more restrictive rule set at ultra heavyweight. Ideally Sachnoff would get paired up up against the jiu-jitsu legend Roberto "Cyborg" Abreu. Cyborg is a big man with a small man's game — he has an agile guard and crafty passing. Sachnoff is well versed in 10th Planet's unorthodox attacks and devastating half-guard sweeps and attacks. Both of their games would take the other out of his comfort zone and force scrambles and opportunistic attacks. Watch the IBJJF 2017 No-Gi World Championships LIVE Dec. 16-17, Only On FloGrappling.